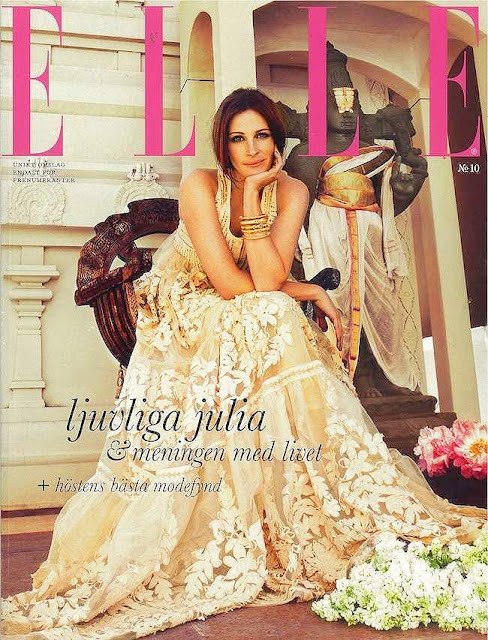 I'm rather enjoying this healthy dose of Julia we seem to be getting, now that Eat Pray Love is doing the rounds. Isn't this just the definition of pretty? PS If you're in Sydney, come along to this charity screening of EPL on Thursday 7th October! ... I had this magazine in my hands jut before I left Scandinavia last week, and it's as pretty as it looks! The fashion spread with JR is fantastic; Pretty woman,indeed! !